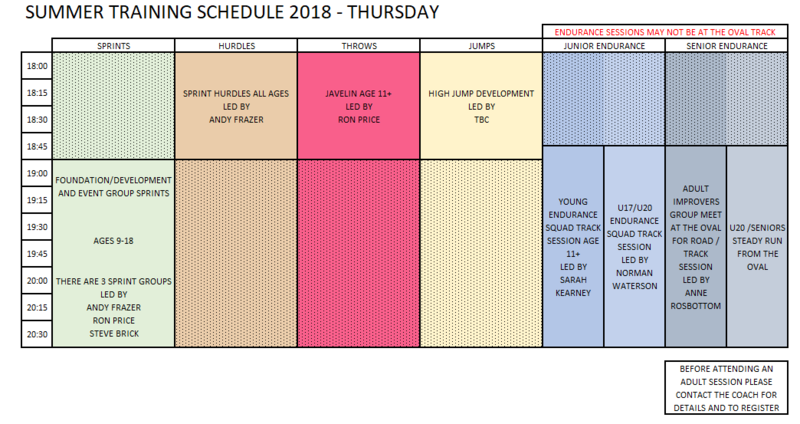 As can be seen below our 30+ volunteer UK Athletic qualified coaches and run leaders provide about 40 weekly sessions covering all age groups and disciplines. 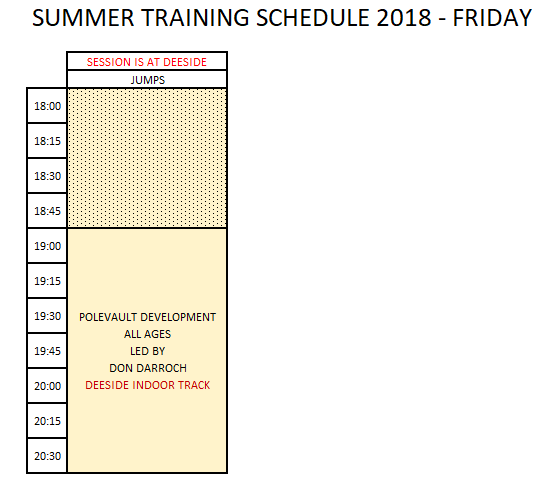 Training is primarily based the Oval (Bebington) and takes place between 6pm and 9pm on Mondays, Wednesdays and Thursdays although some groups may also train out of other locations and at other times by arrangement. 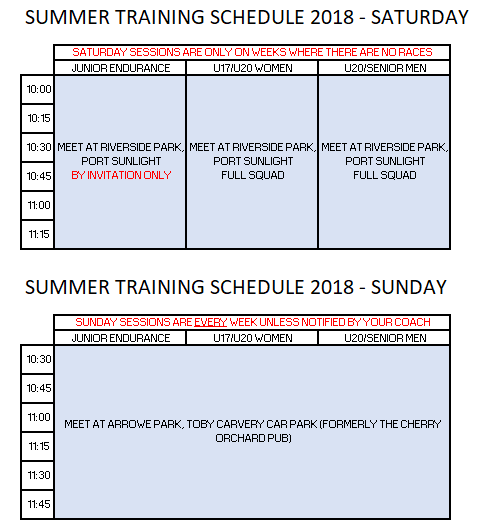 If you wish to join to any of the sessions below as a new members please in the first instance contact the general secretary Simon Moore or pop down to the Oval on club nights. The above is intended for guidance only as all sessions are subject to change due to competitions and other events. When coaches are unavailable they will make every effort to have a colleague cover their session but please understand this may not always be possible.